After spending more of your time speaking to the airline, you then have to wait for it to be delivered to you and in the meantime you have to find shops and buy essential items. If it then doesn’t arrive when it should, you have to spend time chasing the airline – it’s time consuming and stressful and can really impact your trip, whether it’s business or leisure. 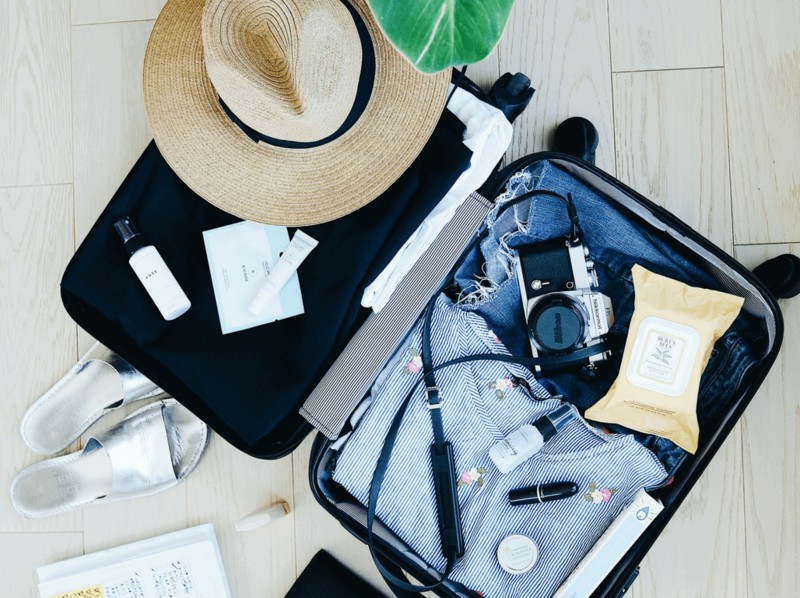 Most airlines will reimburse you for essential items you have to buy while you are without your bag and if they permanently lose your bag, they will compensate items in the bag (more on this below). However, high-value items such as jewellery, designer handbags, electronic items such as laptops or iPad’s and cash will not be covered so make sure you keep them in your hand luggage. It might seem obvious but always keep medication in your hand luggage. Not just enough for the flight but for at least 48hrs when you arrive. If your baggage is delayed for longer than 48hrs, this should give you enough time to get some more prescribed locally. If you are travelling with someone else and have a checked in bag each, don’t pack all your items in one bag. Add some essentials to the other bag and then if one bag goes missing, there will always be some essentials in the other bag. Alternatively, having some essentials in your hand luggage can save you trying to find a shop in the middle of the night which sells underwear! Generally, baggage systems at big hub airports are efficient and successfully move millions of bags from check-in to the aircraft. However, to give the system the best chance, arriving at the airport with at least an hour before your flight and allowing as much time as possible between connections will give it plenty of time to get your luggage on your flight. At smaller airports with less sophisticated systems, allowing even more time is even more critical and can save a lot of time later when you have to try and find your bag. As bags get moved around the baggage system and on and off aircraft the tag the airline attaches to your bag can be ripped off. A lot of bags look very similar and if it does go missing, it can make the job of reuniting you with your bag a lot harder. Adding your own tag with your name and email address/hotel address/phone number to the outside of your bag is a great way to give the airline a way of contacting you. In addition, when the bag doesn’t have a tag and the airline needs to check it’s your bag, they will open it to see if the contents match your report. If you put a piece of paper with your details on inside your bag, it will be very clear to them whose bag it is and will make reuniting you with your bag easier. If it is absolutely critical that your baggage arrives, or you have had some bad experiences and want the reassurance of knowing where your bag is, smart tracking technology might be a good option for you. In the past few years companies have started to utilise technology to allow customers to track their luggage. Market leader Trakdot uses the cellular network to connect to your mobile phone and send you updates about where your bag is. It is a lightweight device which is placed in your bag, is powered by AA batteries and goes to sleep in the air. It has a one-off cost of £79.99 to buy the small device and there is a £17.49 annual subscription fee after the first year. There are others available (LugLoc also gets great reviews) and all have slightly different USP’s so if you are interested, I would recommend this article by Expert World Travel as a good place to start. We would always advise having the appropriate travel insurance and this should include some lost luggage cover. Airlines are governed by the Montreal Convention which limits how much they need to reimburse you (usually up to around £1,000) so you may wish to ensure your travel insurance has a higher limit if you have expensive items in your luggage. As mentioned above, airlines will not cover some items such as high-value goods, electronic devices or cash. It is best to report your bag missing and fill out the relevant forms at the airport. It’s not a legal requirement but will make a claim a lot easier and will start the process of finding your bag. When applying for compensation, airlines will ask for a list of all the items in your bag and receipts for as much as possible. Making this list as soon as possible will help make sure you don’t forget anything. If you are really concerned you won’t remember, you could take a picture of your packed bag to help trigger your memory. Citizen’s Advice has some clear advice on the process and what you are entitled to.